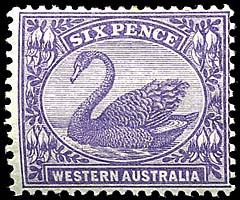 Western Australia - Colonial period: 1861-1900. 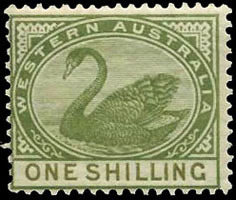 The use of stamps for telegrams. 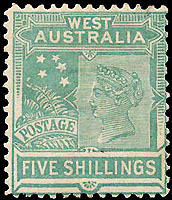 In addition to the official Telegraph stamps, Western Australia also used postage stamps to pay telegram charges. This procedure was not however introduced until after Federation despite there being some consideration of it in the 1890s. 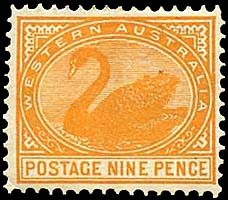 Certainly it was recognised that postage stamps were one means by which receipting of payments could be made more efficient. The Daily News (Perth 2 May 1896). 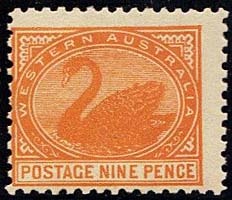 I was astonished to find that there is no systematic check to prevent fraud in connection with the collection of telegraph revenue in West Australia. I do not suppose it to be possible that speculation to any extent has taken place without the fact coming to light. 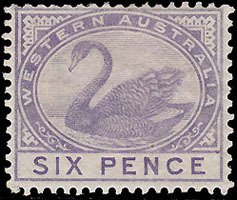 In Victoria all checks were dispensed with on the introduction of the system of payment for telegrams in stamps. The result was that the department lost several hundreds of pounds in a few months through embezzlements on a small scale and the culprits were not discovered. These frauds led to the re-introduction of a system of checking which is now in operation in Victoria. This system is equally applicable whether the charges on the telegrams transmitted be paid for in cash or be paid for by stamps. I would strongly recommend the adoption of the Victorian system of checking. This colony will be able at any time to introduce the system of payment by stamps instead of by cash without any alteration being necessary in the check system which is proposed. The Victorian system is as follows: — All officers enter the telegrams transmitted on a form which shows the address of the message, the station to which despatched, the number of words and amount paid. Entries are made on another form of the particulars of messages received from other stations. These forms are forwarded to the head office daily along with the originals of the messages transmitted. No books to record the particulars of telegrams transmitted or received are kept at Victorian offices. Such records are found to be unnecessary. The consequent saving in expenditure is considerable. At the head office a staff consisting of a male officer, assisted by a number of females, is employed in checking the statements of telegrams transmitted by the statements of telegrams received. It is not considered necessary to check every day's business. Three or four days a month a check is made, the days selected being varied month by month. Payment by stamps is no protection against fraud. Even supposing the stamps to be affixed to a telegram by the person who hands it in for transmission, a dishonest post-office official could tear off the stamps, transmit the message, and then destroy it. In this colony, if a postmaster transmitted a telegram on which the charge was 2s and entered it in his returns as 1s., nothing except an improbably accidental occurrence would reveal his dishonesty. In Victoria, the telegraph check staff is attached to the accounts branch". 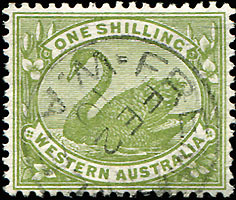 Caldwell's recommendations were not acted upon until after Federation, when the 1901 Post and Telegraph Act legislated the use of postage stamps to pre-pay telegraph charges. 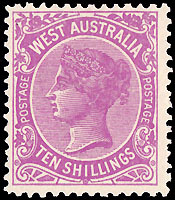 6d bright violet (printed 1906-12). 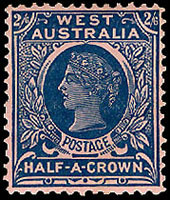 Fremantle cds of 2 February 1910. Phoenix Sale 17 Lot 921. Higher charges - for urgent telegrams (double rate), additional words, cables, etc. Status sale 290 Lot 1910. 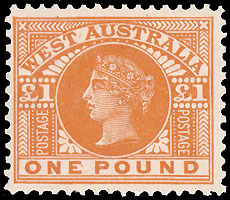 £1 Queen Victoria orange-brown (1902). The Public and Telegraph Offices - Letter to the Editor. The West Australian 17 December 1902. Sir, The method of collecting payment for telegrams is absolutely intolerable, it is surprising that it has been allowed to continue so long. You hand in your telegram, and the officer returns it to you with a stamp, or, perhaps, two or three stamps. The office window is almost invariably draughty - I am not speaking of the Perth office alone - and away goes telegram and stamps too. A short-sighted individual, like myself, is at a great disadvantage under such circumstances. When I stamped my telegram to-day, the officer complained that the stamp was not properly affixed. There were a number of people waiting and I naturally hurried over the process and perhaps performed it defectively. I think the corner was tucked up somehow. But, why, in the name of all that is reasonable, should not the gentleman who receives the message affix the stamp? Again, why is there not a sufficient supply of pens in the office for public use? It is a positive scandal to hear the daily complaints one does. 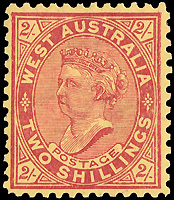 The Western Australian Telegraph stamps.